Eight Democrats have lined up in a bid to take down Republican U.S. Rep. Cresent Hardy, a group that includes a philanthropist, a state senator and a former assemblywoman. The candidates will face off for the nomination in the June 14 primary, when Democrats decide who has the best shot at beating the freshman congressman in the November general election. They include such prominent candidates as philanthropist Susie Lee, state Sen. Ruben Kihuen and former Assemblywoman Lucy Flores. Hardy faces two primary GOP challengers, although he’s expected to easily win the June 14 contest. Democrats view the seat as one of only a few nationwide they could turn blue in November, pointing in part to their voter registration edge in the district. The district has 137,352 registered Democrats and 105,429 registered Republicans. There also are 78,038 nonpartisan or third-party voters. 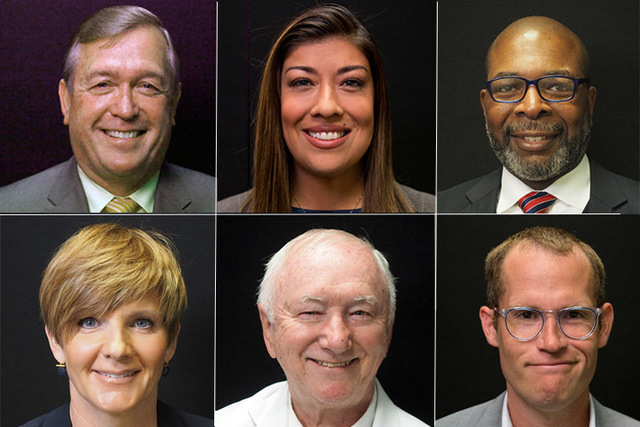 Hardy won as part of the red wave that swept Nevada in the 2014 election, unseating Democratic U.S. Rep. Steven Horsford in the same cycle in which Republicans gained control of both chambers of Nevada’s statehouse and won all state constitutional offices. Hardy is the best-funded candidate so far, with $760,625 cash on hand at the end of March. Among the Democratic candidates, Lee comes closest to Hardy, reporting $642,333 cash on hand. In an interview, Hardy said his experience as a business owner gives him an understanding of what’s needed for job creation and how government regulations can hinder growth. Hardy had a construction business before his election in Congress. Hardy said his office also focuses on constituent cases, and handled about 400 last year. They include issues such as Medicare and veterans benefits. 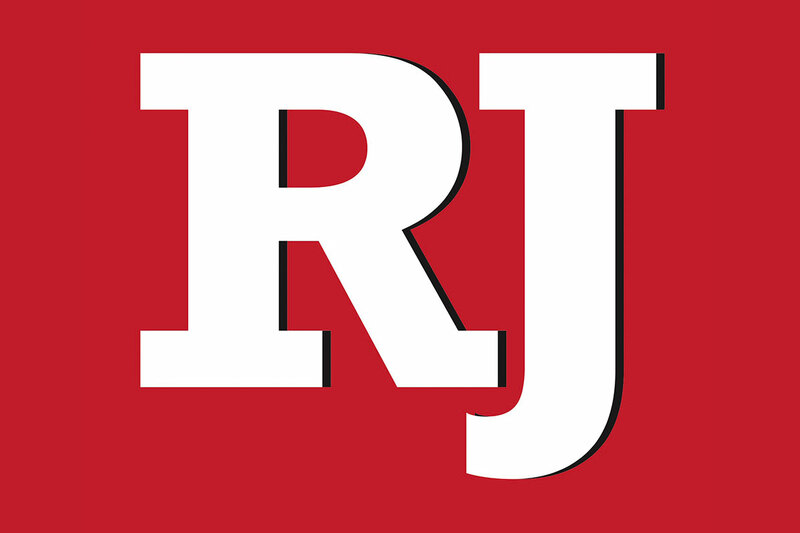 Hardy’s campaign said his accomplishments include getting language inserted into the successful highway bill that included provisions for the planned Interstate 11 extension between Las Vegas and Reno and supporting protections to rangeland and natural resources in a way that also allows ranching. Democrats are Flores, Kihuen, Lee, Morse Arberry Jr., Brandon Casutt, Dan Rolle, Mike Schaefer and Rodney Smith. Casutt, who has run for an Assembly seat twice unsuccessfully, has two children with cystic fibrosis and leads a local foundation that fights the disease. He supports opening up some of the federal lands in Nevada to renewable energy companies, saying it would create jobs and spur economic growth. He noted that about 85 percent of Nevada is federal land. “It’s all about solutions,” he said. Flores, a former assemblywoman who served two terms, said she has a record of getting bills passed. For example, she sponsored a bill that became law that penalizes businesses purporting to offer legal services when they aren’t authorized. “I have an actual record of accomplishment, of legislation that was passed under a Republican governor by working with Republican colleagues,” Flores said. Flores supports economic development, increasing the minimum wage, and providing affordable higher education for young people with student debt reforms. Kihuen, a state senator, was first elected in 2006 to the Assembly, where he served two terms. He was elected to the upper body in 2010 and again in 2014. Kihuen said his record demonstrates his legislative ability. For example, he drafted and sponsored a bill that the Legislature passed that creates college grant opportunities for low-income students. His priorities include policies that support equal pay for equal work and raising the minimum wage to $15 an hour, he said. This is Lee’s first run for public office. She has worked in the nonprofit sector with programs that serve homeless veterans, families and impoverished students. One of those programs serves thousands of Las Vegas area students with an after-school program. Lee said she has a track record of results, adding that Washington needs new leadership. Economic growth, investment in infrastructure and accessible higher education are all priorities, she said. “I think you have to bring listening skills and be able to bring together diverse people and put together a solution and develop a plan and a strategy for addressing those issues and that’s exactly what I’ve done,” Lee said. Rolle is a small-business consultant who is running for the first time. He supports getting rid of the Citizens United ruling that paved the way for unchecked independent campaign spending through super PACs and federal funding for elections. Schaefer calls himself a “one-trick pony” who supports opening Yucca Mountain for storage of nuclear waste. In exchange, each Nevada resident would get an annual $1,000 check. “It would end up in the pockets of every Nevadan,” he said. Schaefer, a former San Diego city councilman in the 1960s, is no stranger to Nevada politics. He got kicked off the ballot in 2014 when running for Nevada state controller after a Clark County judge ruled he didn’t’ meet the two-year residency requirement. Schaefer had run for Los Angeles City Council about a year before that. Schaefer contends the state’s residency rules are unenforceable and unconstitutional. Smith, who spent 26 years in the Air Force, said his background would help him be a good advocate for the state’s veterans and issues tied to national defense. “I can put a face to those boots on the ground to remind them that they have a responsibility to provide for our active duty military and for those veterans who have served,” he said. He said he’d work to represent all constituency groups and focus on unity. Arberry couldn’t be reached for comment. Hardy is in a three-way primary race for the GOP nomination with Mike Monroe and Wayne Villines. Monroe said he wants to pursue legislation that addresses the methamphetamine scourge. Monroe is intent on serving only a two-year term and not becoming a career politician. “I’m not going to stay up there for 10 years,” he said. He has unsuccessfully run for other offices, most recently in the 2014 GOP primary in the 4th Congressional District race, when he placed third, and GOP primaries in the 1st Congressional District in 2010 and 2006. Villines said he supports repealing the Affordable Care Act, calling it unconstitutional. He also stressed the importance of adhering to the U.S. Constitution. “I would definitely have a priority in not only getting the unconstitutional laws overturned,” he said, “but also in getting rid of the congressmen who are regularly practicing unconstitutional legislation. Besides the primary winners, others running in the November general election are Libertarian Steve Brown and Independent American Mike Little.